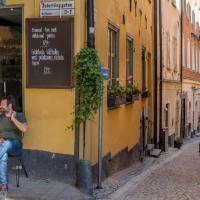 With a full day to explore, get an authentic insight into life in Stockholm with a like-minded local by your side. Immerse yourself in Stockholm’s laid back yet passionate culture as you discover the city’s most iconic attractions as well as getting a taste of local life in off the beaten path neighbourhoods. Your experience will be fully personalised to include the famous sites and areas you’d most like to see, but your Local Host will also show you the hidden spots and share stories along the way that you’d struggle to find in a guidebook. 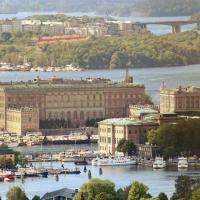 With a full day to explore, and a local friend to guide you, you’ll be able to create your perfect day in Stockholm! 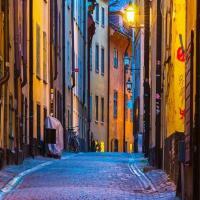 On your fully personalised experience, visit the top sights you’d love to tick off your Stockholm bucket list as well as visiting the authentic spots that are recommended by your Local Host, giving you a unique insider’s perspective on life in the city that you wouldn’t find in a guidebook. Stop for lunch at a cafe, restaurant or street food market recommended by your Local Host, a spot where you can try authentic local cuisine and which suits your preferences, budget and dietary requirements. In the afternoon, you may want to slow down and have fika, the Swedish ritual of taking a break and enjoying coffee and a bite to eat, relaxing a little with good company and good food. Your Local Host will also advise you on the best way to spend the following days of your trip, allowing you to discover other areas of Stockholm that you will love. Although you will see the main attractions in the city, your Local Host will also help you to discover the places, things and stories that you won’t find in a guidebook and that make the city unique. 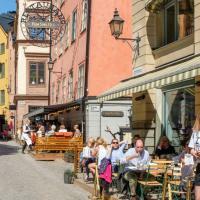 With a local by your side, you’ll be able to go beyond the superficial and connect with Stockholm and its people, getting to know what truly makes the city unique. Get relevant advice to help you save time and money during the rest of your trip; using local insight you’ll be able to get around, skip tourist pitfalls and experience life like a local. See the main attractions with the benefit of local knowledge like the best times to avoid the crowds, but also explore off-the-beaten path areas where the locals really live. Our Local Hosts can all speak English, but many also speak Swedish, Greek, Spanish, Portuguese, Hindi and Punjabi so they can connect with you culturally as well as with your personality. * Explore local neighbourhoods or the most famous areas of the city, the choice is yours! I had a wonderful experience with Stephanie. When you booked this experience you have to keep on mind that is an experience with a person who is leaving in the city. I liked this kind of tours because it gave me an idea of a local person. What does she do? where did she go to eat? She showed us not only the tourist areas, but places that you usually don't go in a regular tour.